Children’s University clubs will be running again in the next academic year. They take place on Wednesday’s 3-4pm. Clubs are an exciting opportunity for your child to try out new skills and extend their interests. We hope that they will enjoy joining in with the fun! Reception and Key stage 1 have a skilled Football coach to teach them Multi-Skills on a regular basis. 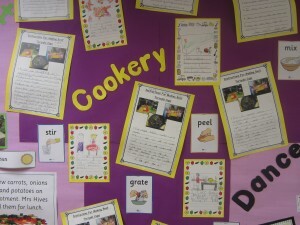 Jenny our food worker works with children across the school helping them to make marvellous culinary creations! 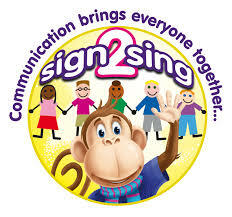 Every Friday the children in Key Stage 1 enjoy learning Sign Language. They learn how to sign their name, colours, feelings and food. 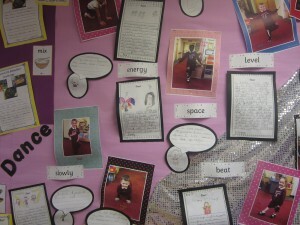 Children love to take part in this fun and exciting activity. 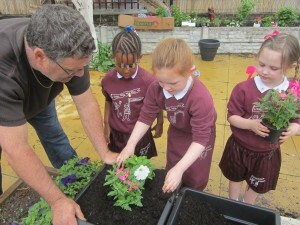 We are very fortunate to have Don our horticulturalist to work with children regularly. 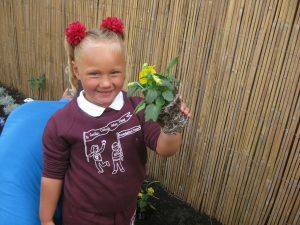 Year 1 children have been digging up potatoes on the allotment this week and the Nursery have enjoyed making a lavender posy and planting pretty pansies on our allotment. Children in year 2 have picked the rosemary plant and taken some home. The children also loved finding and exploring the minibeasts. 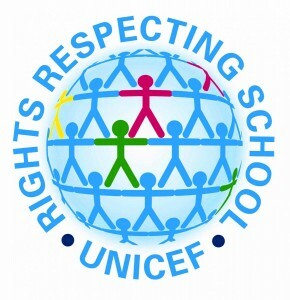 Our school is a Rights Respecting School, The Rights Respecting Schools Award is a Unicef UK programme that aims to put children’s rights at the heart of schools in the UK. The Award recognises a school’s achievement in putting the United Nations Convention on the Rights of the Child (CRC or UNCRC) into practice within the school and beyond. We have achieved the Recognition of Commitment and we are currently working on achieving Level 1. For further information regarding children’s rights please see the link below or pick up a leaflet/booklet from the office. We are delighted to inform you that St Cecilia’s Catholic Infant and Nursery school is now a School of Sanctuary. Mrs Van De Waal and Mrs Hunter attended the EMTAS (Ethnic Minority and Traveller Achievement Service) awards ceremony on the 6th of October. There we were presented with a certificate by Councillor Nick Small and Gill Rowlands. Strike Dance work with children in Reception and Key Stage 1. Children experience Ballet and Bollywood dance among others.